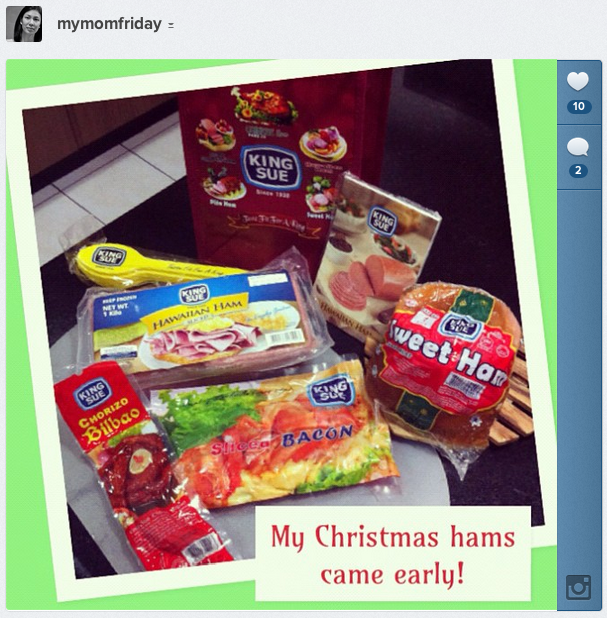 Christmas in our home will not be complete without a juicy roll of ham. We usually receive one every year and also gave them as gifts in the past. This year, our hams came early, courtesy of King Sue! 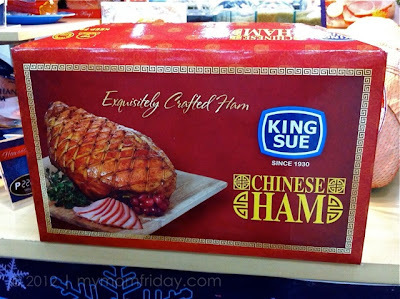 I came to know King Sue (pronounced: king swé) during my younger years because of their famous bone-in-Chinese ham, wrapped in brown paper and net. I don't know if we get them as gifts or if my grandparents buy them to serve during holiday parties. It's huge, heavy, and aromatic. There was no box then and they just hang the net somewhere until it's time to serve. 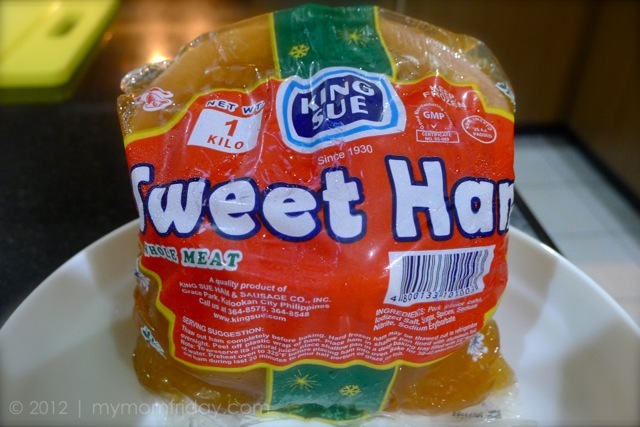 I still remember waiting for my grandfather to unwrap the big package and carefully slicing the meat during noche buena (Christmas eve dinner). This is the mother of all hams in my book! King Sue has been in the ham business since 1930 and has since developed a range of premium delectable products, not just Christmas Hams that they are known for. 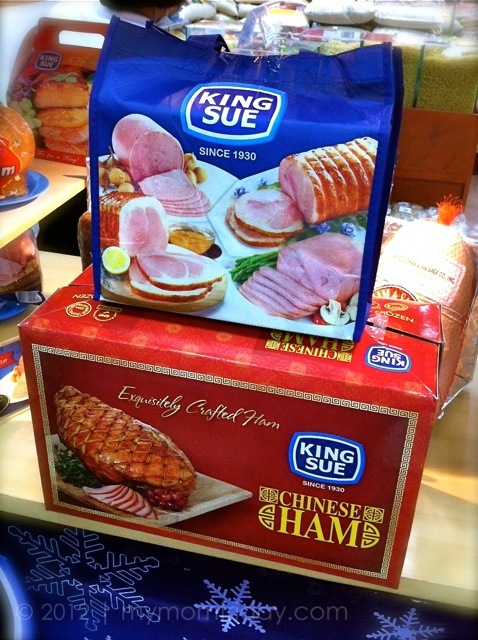 I say, King Sue is the ham for all seasons 'coz we can now buy and enjoy an assortment of delicious quality hams everyday like Sliced Hams and Cold Cuts, and other meat products including Bacon, Sausages, and more ready-to-cook goods. 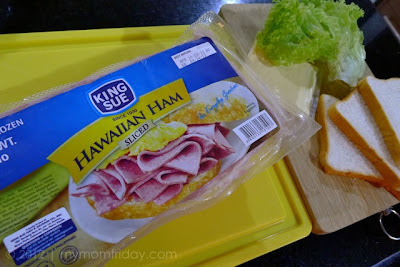 One of my favorite variants, aside from the easy-to-serve sliced ham, is this Sweet Ham soaked in pineapple glaze. 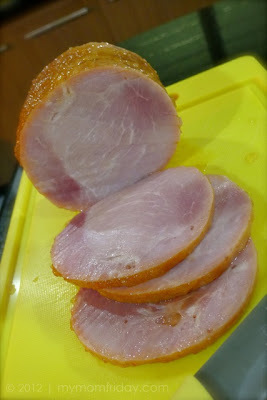 I simply slice the Sweet Ham and cook over low heat. Add a little glaze until it caramelize. Sometimes, I sprinkle more sugar to make it sweeter. 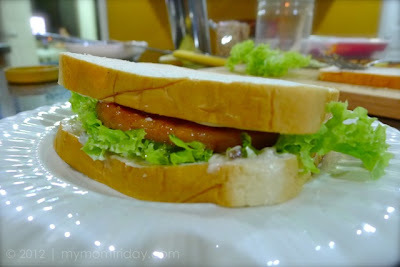 Spread some mayo or sandwich spread on bread, add lettuce when available, and this hearty sandwich is ready to serve! Heat oil in pan and sweat the garlic. Add carrots and beans and saute a few minutes until half cooked. Mix in mushrooms. Scoop out the vegetables and set aside. 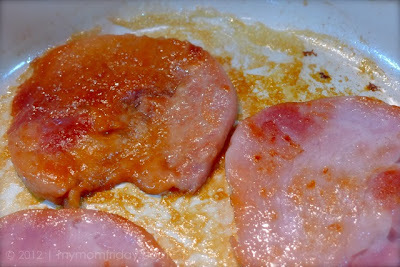 In the same pan, cook the chopped ham and add around 4 tablespoons of the pineapple glaze until the ham caramelize. Pour the rice and mix until well coated. 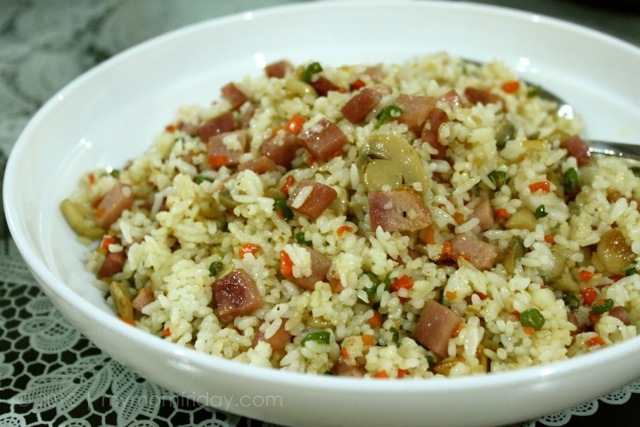 Put back the veggies and mix everything well with the rice. Season with some salt and pepper. Serve immediately. 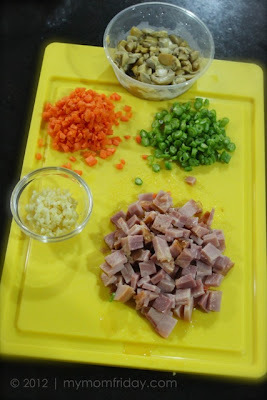 Adjust the quantity of the ingredients to your liking. This is an easy yet tasty dish that even kids can help prepare - perfect for any occasion. 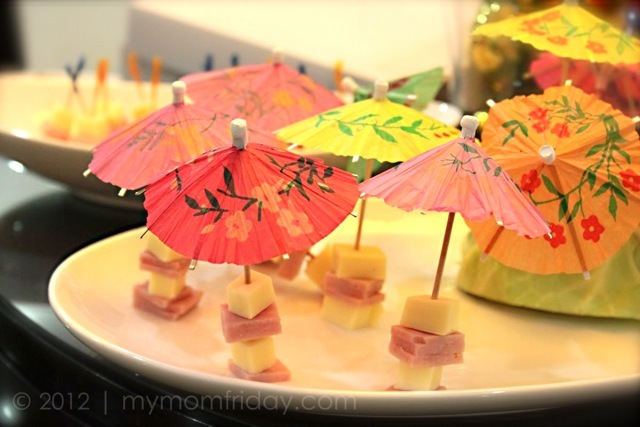 This classic combo of cubed ham and cheese never fails, especially when you use fancy umbrella toothpicks to add color and whimsy to your presentation! Cut a cabbage in half, set flat side down on a serving plate. Get 2 - 3 pieces of Sliced Ham, piled on, then cubed. Repeat slicing by batch of 2 - 3 piled slices. 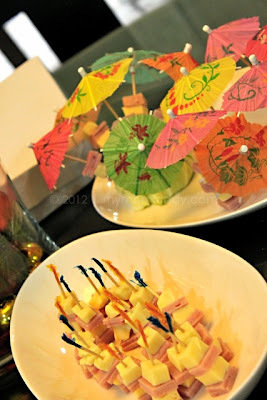 Skewer alternately with cheese on each party toothpick. Stick cocktails all around the cabbage for a more decorative plating. Or you can simply arrange on a tray or platter. Hope you can try these simple dishes with King Sue Ham this Yuletide season, or anytime of the year! Do you eat ham? How do you serve it? 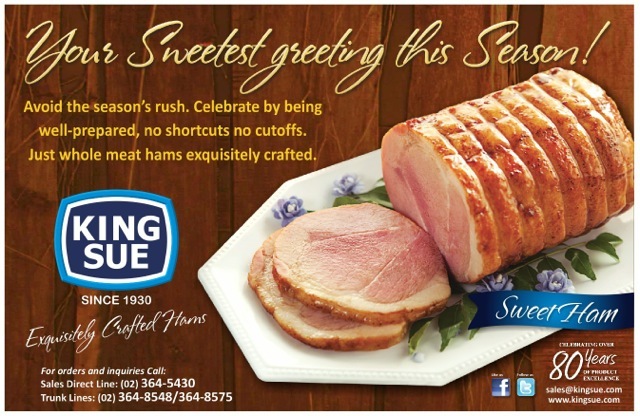 Celebrate the season of giving with King Sue Hams. They now come in these nice gift boxes and reusable tote bag. 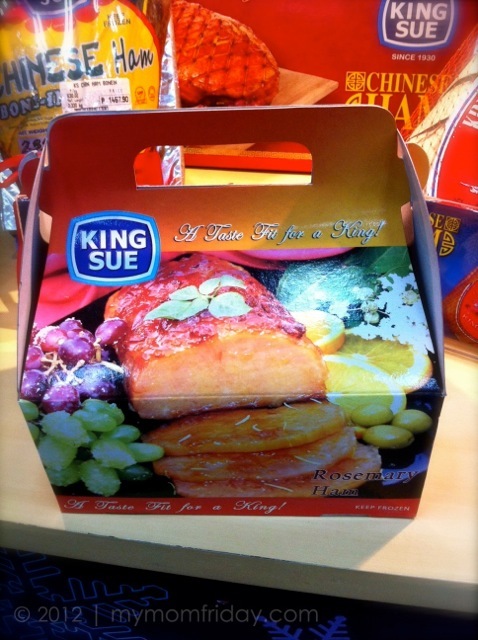 King Sue hams and sausages are available at leading supermarkets nationwide.